I love that. 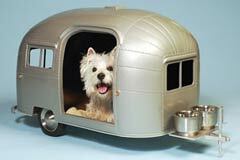 I have spent many hours pondering the idea of making a Boler doghouse for our pups to take camping but I don't have the skills to make one. At least they seem to think so?